Hello Perfume Posse PEEPS! Portia from Australia Perfume Junkies and today I get to review Gypsy Water because I was at lunch with my mate Clayton Ilolahia from What Men Should Smell Like and The Perfume Magazine and he generously gave me a beautiful 12ml travel bottle for my birthday last month. What a freakin’ superstar!! I love the gourmand lemon meringue opening, it takes me right back to my Mum bringing it out on “Special Occasions” like good school marks or successful endeavours. Super sweet but tart too and a little bready. MMMMM. This is no great powerhouse fragrance though, Gypsy Water wears fragrant but not big. I love how the foody feeling fades slowly, as though you are walking away from it and towards a temple but you’re crossing a very peaceful park to get there. Gypsy Water strikes me as a very serene fragrance, cosy but with plenty of space between the notes, not sheer but delicate and like being wrapped up in love. As the gourmand facets fade my skin amps up the earthy, woody tones of sweet water that already have a very pretty dry vanilla floating behind and below them. The pine needles on my skin are dry, nearly dessicated to earth, hardly more than a crunch under my feet and much more about earth. Incense plays a cat and mouse game, it goes, it comes, taking the lead then falling back. Repeatedly through Gypsy Water’s life I think the incense has gone to be surprised by it again later. 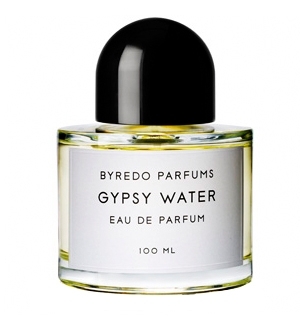 From the Byredo site: Gypsy Water is a glamorization of the Romany lifestyle, based on a fascination for the myth. The scent of fresh soil, deep forests and campfires illustrates the dream of a free, colorful lifestyle close to nature. I totally get that this fragrance is built on the freedom and airiness of the “imagined” gypsy lifestyle that looks so appealing sometime to a hidebound life. Later in the dry down I get a very body-ish wash that feels like, but is really just a nod to, that funky smell of waking up, like a pyjama smell after a couple of nights. Not unclean, not breathy, just worn and youthful, alive, healthy. 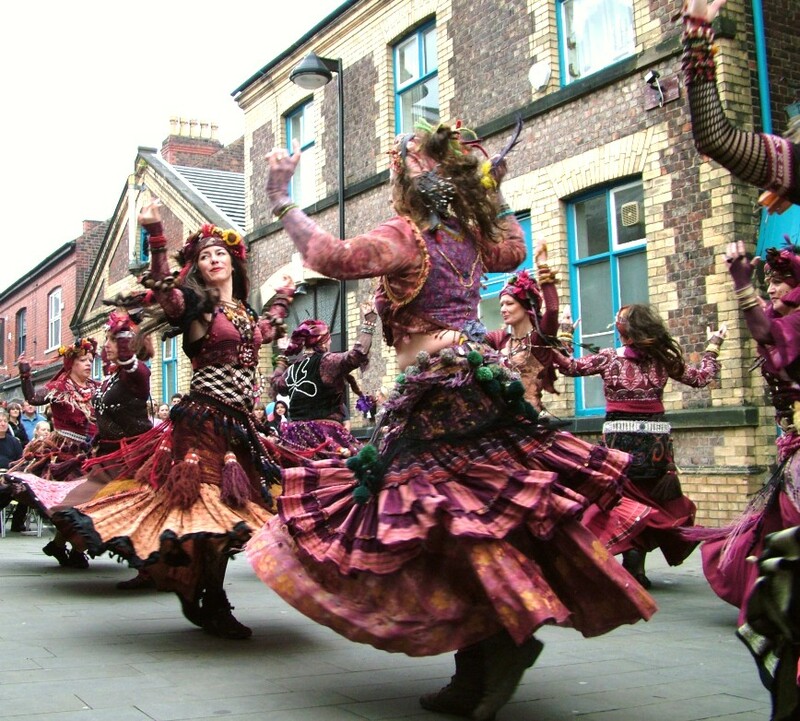 There has been a bit of this is generic chat on the blogs, sorry I don’t agree. This is a beautiful, well crafted and interesting scent that covers a lovely story through three very distinct phases with lovely crossover periods. I find Gypsy Water to be an extremely wearable wonder, not too strong for work unless they are extremely frag-phobic and lovely enough to wear for date night, dinner, movies, wherever takes your fancy. I also get good scent life of over 5 hours, sometimes 7 hours, with soft and diffusive projection. You are fragrant but quietly so, without being a why bother. Does that make sense? I hope you have enjoyed wandering through my fragrant rambling thoughts, if you did why not pop over and see us at Australia Perfume Junkies? We’d love to see you and continue the conversation. Have you tried Gypsy Water? How did it wear for you? Or have you passed it by because of the meh reviews perfumistas often give it? Yay, Portia! So excited — it’s one of my all-time faves. Beautiful review — just love that line about the temple and the park. This really is such a versatile scent; wear it casually or dressed up a bit and it works beautifully. Thanks so much! I am so glad that I grabbed one of your faves. I can completely see how you would love Gypsy Water, I do too though it’s not a fragrance I expected to love from the notes or other blogger reviews. I enjoy its subtle byplays and the phases made me really take note. Yes, I could imagine it wearing well almost everywhere. That was an excellent review, Portia. The visual descriptions were vivid and I could almost see everything from Mom’s lemon meringue to the peaceful park. I haven’t sniffed anything from this line, but now it’s on the list. My Mum did the most amazing Lemon Meringue, it was almost bitter and she used the lemons from our tree in the back yard. We knew someone had done something important when the LMP was being baked. As to Byredo, like any Frag House it has hits and misses for me but the ones I like are really special pieces. Your review has me wishing SO badly that I liked this fragrance. Alas, try as I might I cannot seem to get a Love going for the House of Byredo. But if anything could get me to rethink that, your review would be that thing. Absolutely gorgeous! Hey, lady — I thought you liked Byredo’s Seven Veils (at least I thought you did and wrote about it awhile back). Interesting, I’m surprised that Byredo doesn’t have a couple for you, is there anything in particular about the house that irks you or the fragrances just don’t usually work? Yes Edward, This can be a VERY expensive habit. Wait for a birthday or Christmas and ask for Gift Certificates. I do that. This sounds soo delicious! Wonderfully written review. I can wait to try this one. BIG smile from Down Under. Please come back and tell us how you liked it. Portia, Nice review! I got a whopping 30 mLs in a swap earlier this year and swapped out 10 mLs. I am guarding my remaining stash. I found it extremely wearable. That said, it reminded me of Atelier Cologne Vanilla Insensee and the latest Barneys exclusive Greg Lauren. I don’t think itbis simply the vanilla that is common: they all have that breathy somewhat aquatic feel to it. Perhaps it is all in the placement of the vanilla – who knows? Comparing the 3, Greg Lauren is the sweetest and heaviest, Gypsy Water is the most rounded and lasted the longest, while Vanille Insensee was the sheerest and didn’t last quite as long as the others (it is also the least expensive of the 3). I need to spend more time with the Atelier range, I LOVE their little kits but they don’t sell them in Australia. Tres ANNOYING!! You are too lucky to be able to drop into a Barneys. Great review! I love this scent. I find it wear very close to the skin — I wish it had a little more projection. But it’s beautiful and very easy to wear. I wish I had a bottle! It is a close scent, introverted fragrance, though if you add an extra spritz to each elbow it has better projection I find. I have owned a bottle of Gypsy Water when Byredo first introduced the line…along with Green, Pulp, etc. I don’t wear it that often but when I do, it is always a delightful surprise. It is a quiet scent but does go through different phases…and just when I think it has completely faded, I begin to detect the fragrance once again. I will have to start wearing it more often because I work in a place where fragrance is not appreciated by most (they are missing something wonderful in their lives), and Gypsy Water should be something that I perhaps could wear without being chastised (I feel like I am in Catholic grade school with all the admonishments I receive when I wear most of my fragrances). I have learned to just spray one or two spritzes of anything I put on for work in order to bypass the chastising. This is the PERFECT scent for you. You could just put it on your chest and be the only one who notices it. Or tell them its your moisturiser, better yet, spray some into your moisturiser and put that on arms and chest. That will soften the fragrance and increase the wear life. Portia great idea with putting you fragrance in your moisturiser! OMGosh why didn’t i think of that. I have some fragrances i love but my sweet husband thinks are too strong when i spritz. Doing this today and see what it does to soften the scent. I love the name of gypsy water and your review was awsome. 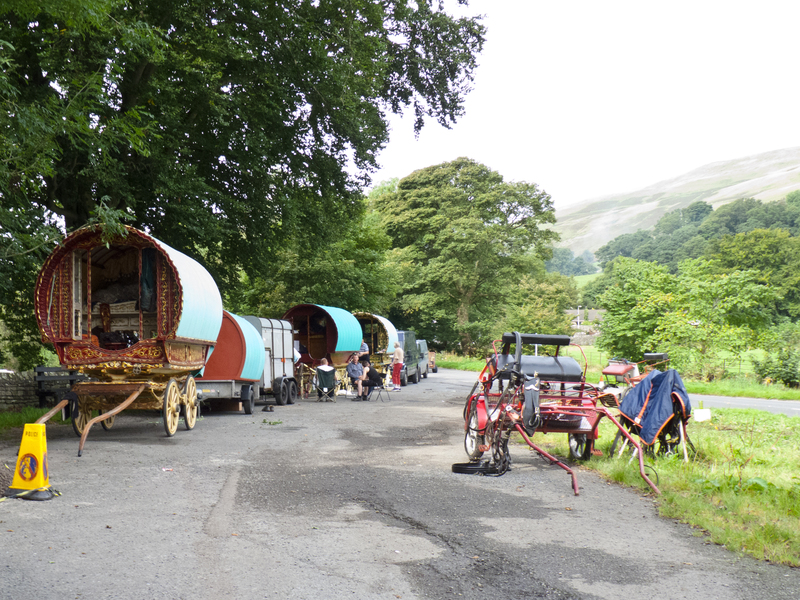 I think i must have some gypsy ancester somewere back in my lineage,or i like to think i do. How did the fragrance in moisturiser test go? Thanks, yes I think we may all have a little Romanian Gypsy blood mixed in, some way back and some closer. Dear Portia, it works so well that my husband was cuddling all evening 😉 thats how well. We’ve been married for 27 years. You are a treasure! Woo Hoo! HAPPY FACE!! Good one PatriciaC. This has been on the to-try list for a long time after reading many positive reviews of it. Your review certainly makes it move up on the list! “You are fragrant but quietly so, without being a why bother. ” makes total sense to me! I’m glad it makes sense, sometimes my personal idiom looks funny when put on the page and I question myself. I smelled it when it first came out but it wasn’t really exciting on me… Prefer Seven Veils and Pulp. Yes, Seven Veils and Pulp are gorgeous too. What about M/Mink? That ferocious animalic one? I have a decant of this and like it a lot. I’ve worn it at times when I wanted to be scented, but quietly and I think it’s perfect for that. It would also be a goof first date perfume, for those times when one isn’t sure how one’s companion might feel about scent. And of course I like it just for me! I wear no scent on first dates or for interviews. Just deodorant. In case my fragrance has negative memory links for my date or interviewer. Byredo Gypsy Water could very well circumvent the problem, unusual enough that no one they know could be totally associated with it and quiet enough to hum softly in the background, interesting. Your review is perfection and I haven’t even smelled it yet! I am intrigued by the name and beautiful bottle alone! Adding to my to try list now! It was made for you. You must wear it. Love this one; however, it fades soooo quickly on me.